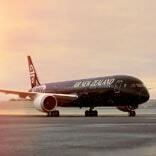 Download the Air NZ mobile app to manage your trip on the go. Activity Deals terms and conditions: Air New Zealand is offering the products and services as agent, for and on behalf of Bookme as the supplier. The terms and conditions relating to the supply of these products and/or services apply as between you, the customer, and the supplier. For full terms and conditions please click 'Book now' and select an activity. Offers subject to availability at all times and may not be available on all days during stated travel period.